Amongst the Waves will remind you of the beach on a tropical day. 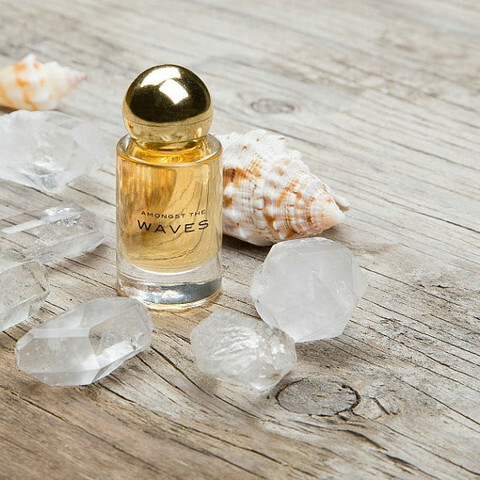 When applying the perfume oil, the scent gets softer and rounder as the hours pass and is a wonderful fragrance for jeans and a tee shirt or a demure scent while dressed for dinner. Layered with the lotion only enhances the longevity of this fragrance and a little goes a long way. Salt+Love is a vegan volume-enhancing mist that will give your hair sultry beach waves or use as an overall body mist. The Himalayan Pink Salt hydrates both body and hair.